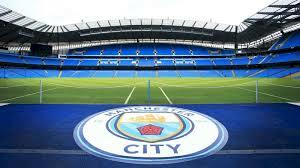 I have visited the Etihad stadium quite a few times over the years.. I have seen Muse & Take That there and have been to plenty of Magic Weekends there for the rugby. The stadium looks absolutely fantastic from the outside and I would love to tour around it properly. 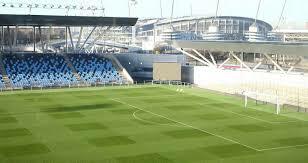 Just over the road from the Etihad there is the Academy Stadium, the home to Man City women, I have been here plenty of times but again I would love to see what it is like beyond the pitch, I would love to experience the same views as many of the people I look up to do. I have only been to Wembley once so far and although we lost it was a fantastic experience because what a beautiful stadium it is. 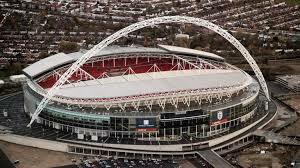 As you start walking up Wembley way approaching the stadium you can really take in its beauty, I would love to see what it is like away from the structure and pitch too. 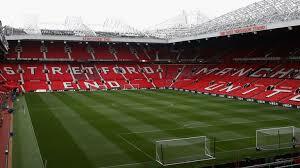 Now Old Trafford is currently the only stadium tour I have ever done so why is it on the list? Well I want to go back and do it again properly. When I last went I was still in school and the family took me for my birthday. The problem with this was we didn't experience the museum part properly as they just weren't interested and the whole day just felt rushed. I would love to go again now I am older and just enjoy the experience fully, my love for United has never go away and I think it is about time I headed to Old Trafford once again. Finally on the list is one stadium I really wish I had done a tour of before but I can't understand why I haven't seen as I am there most weekends anyway. 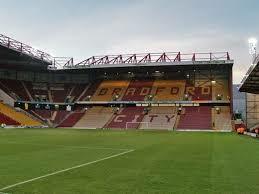 That stadium is Valley Parade home of my beloved Bradford City, I would love to see behind the scenes at City especially with how recently they updated the changing rooms etc... I would just love to see what this tour consisted of, if they still offer them. So there you have it those are the stadiums I would love to do a tour on, fingers crossed I can get to these very soon and who knows you might be seeing parts of the tour on the blog very soon and I am sure poor Liam will be being dragged along. But the question is where should we start?